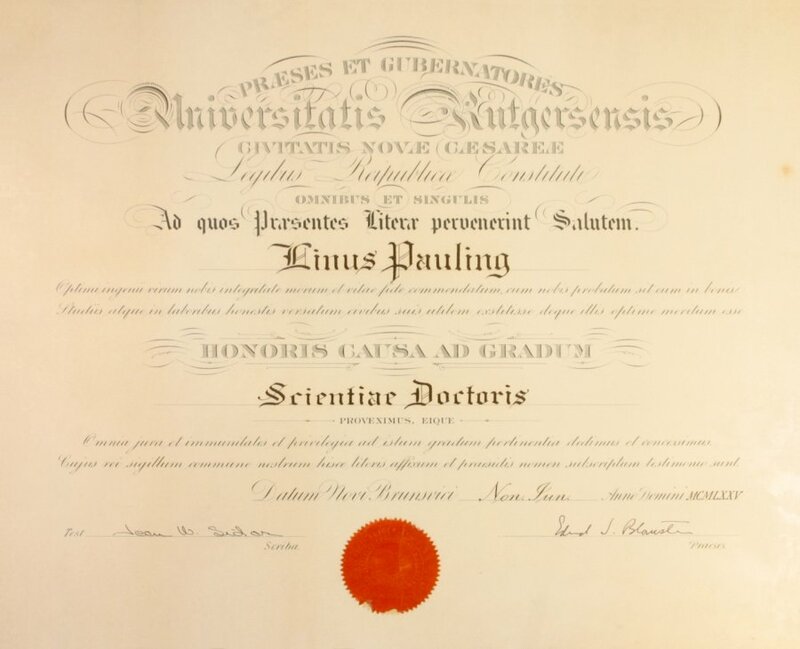 Rutgers University, Diploma, Doctor of Science Honoris Causa, Diploma and Citation. 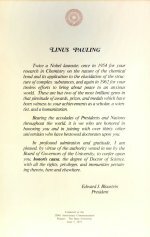 Featuring items from the Ava Helen and Linus Pauling Papers. Presented by Oregon State University Libraries' Special Collections & Archives Research Center.